Harvest Time: Straight From My Garden! There is NOTHING better than vegetables and herbs straight from your own garden (trust me…nothing from the local farmer’s market or Whole Foods can compare to the taste of just-picked vegetables and herbs). Today I enjoyed the bounty of my own garden for lunch. 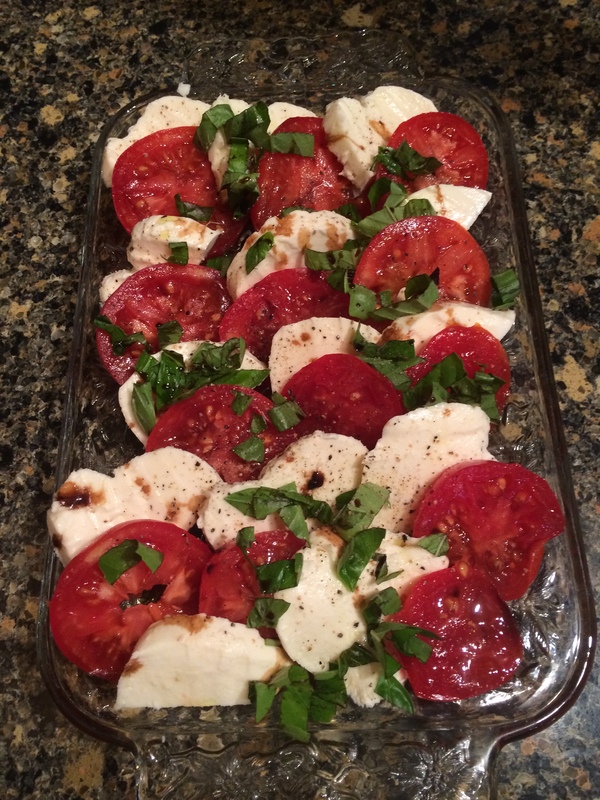 Pictured above, you will see my own tomatoes and basil paired with freshly made mozzarella. The entire caprese salad is simply topped with a high quality olive oil, balsamic vinegar and some freshly ground black pepper. Yum! *My favorite source for Olive Oil and Balsamic Vinegar is O & Co.
Beauty Foods: Eat Your Way GORGEOUS!!! As I have been writing articles for this blog, a funny thing has happened. I have noticed that far more of my posts than I had originally intended to be are, in fact, written about food. This has gotten me to thinking about the fact that beauty and nutrition really are inextricably linked. For that matter, leading a fabulous life is also largely tied in to nutrition. You literally are what you eat. Therefore, if you want to look good, age well and feel great (thus allowing you to lead a more fabulous life) then eating well is a must! 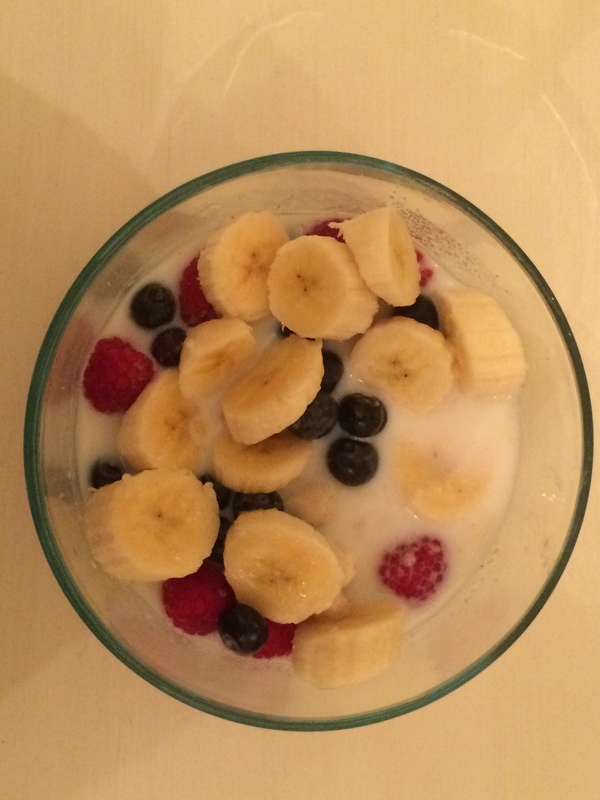 Back on the Wagon: Diet Edition! Okay, so it is time for a confession. I got a little lax with my diet this summer. By lax I mean to say that I took off the entire month of July…ooops. I knew that I had put on some weight, but I was shocked to find that I had actually gained 4 pounds…in a month. Apparently eating whatever I feel like for an extended period of time isn’t working for me anymore. The upshot is that it is now a new month and I am going to stop my slide into unhealthy eating habits while I am only 4 or 5 pounds off of the mark. Looking for Something Different? Try a Cooking Class! Looking for something fun and new to try? 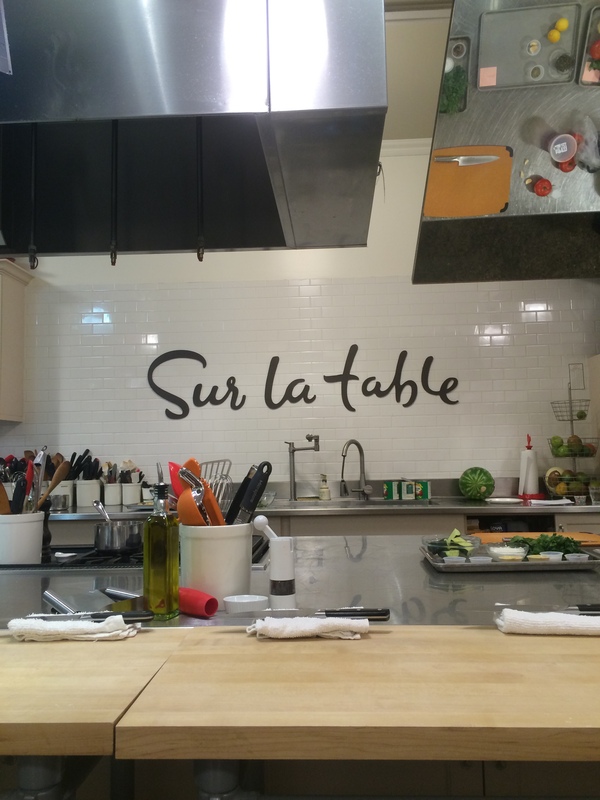 I would recommend trying out a cooking class at Sur La Table! I did it for the first time this past weekend and it was both fun and informative. With more than 50 locations in 22 states, Sur La Table is more than just an inspirational store for cooks…it is also a place to learn new recipes and skills through the wide array of cooking classes offered (they even offer summer camps)! Current class offerings are as varied as: Mediterranean Dinner Party, Summer Macarons, Delicious Thai Cooking and Date Night: Summer in Provence; there really is an offering for everyone! The classes, which are led by a professional chef, typically last for approximately 2 hours and cost less than $100 per person. So now that we have all returned from our holiday weekends, we can begin to focus on eating mindfully again. If you want to look and feel fabulous, then you need to eat fabulously…after all, you literally are what you eat! In the past I’ve talked a lot about the desire to prepare healthy, fresh food and the challenge of finding the time to do it in. 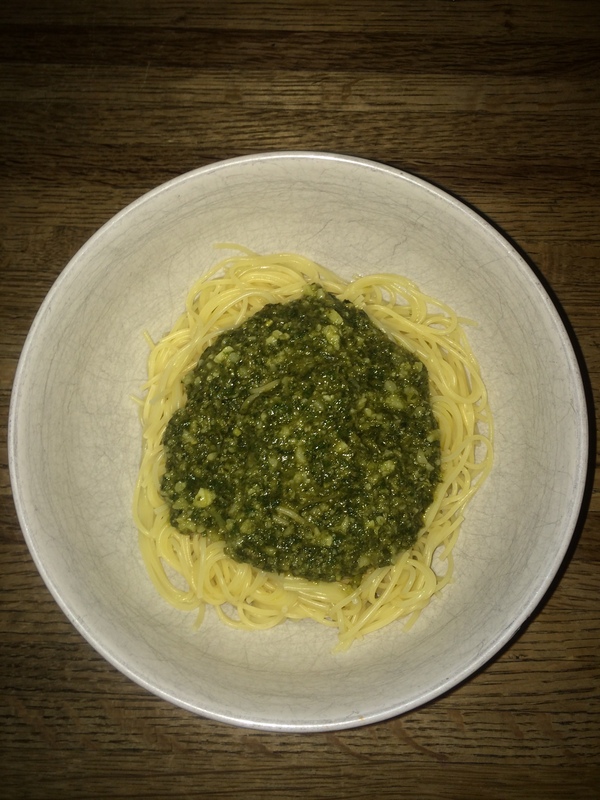 Today we are going to talk about a quick and simple summer sauce which is also good for you…Pesto! Here comes the best part…remember my post, Be AMAZING (With Minimal Effort)…Grow Your Own Herb Garden!? Well…it is less than one month later and tonight I was already able to easily harvest enough fresh basil for my pesto sauce! Yay! Whether you have a herb garden or not you can easily prepare this delicious recipe in under 10 minutes! Vitamins: Healthier Living (on a Budget)! With so many vitamins to choose from in the aisle of the pharmacy, selecting the correct ones can feel overwhelming at the least. We all know people who take tons of different vitamins every single day. In my opinion, if a doctor or a health professional has prescribed a specific course of vitamins for you then you should follow their advice; however, I do not believe that most of us are 100% positive as to each of the specific supplements that our particular body requires. Therefore, I am not a huge fan of just randomly selecting a multitude of supplements and incorporating them into your daily diet. 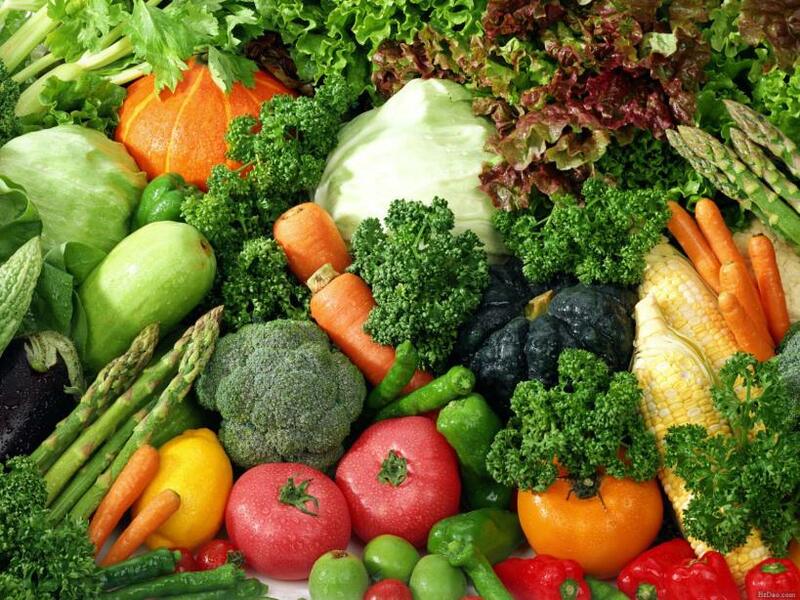 Still, it is probably safe to say that most of us are not getting 100% of the vitamins and minerals which our bodies require each day through our diets. I personally choose to take a daily multi-vitamin/multi-mineral supplement. This provides me with a general supplementation designed to fill-in any nutritional gaps. Many of the major brands do special pricing promotions periodically…I always wait for these. 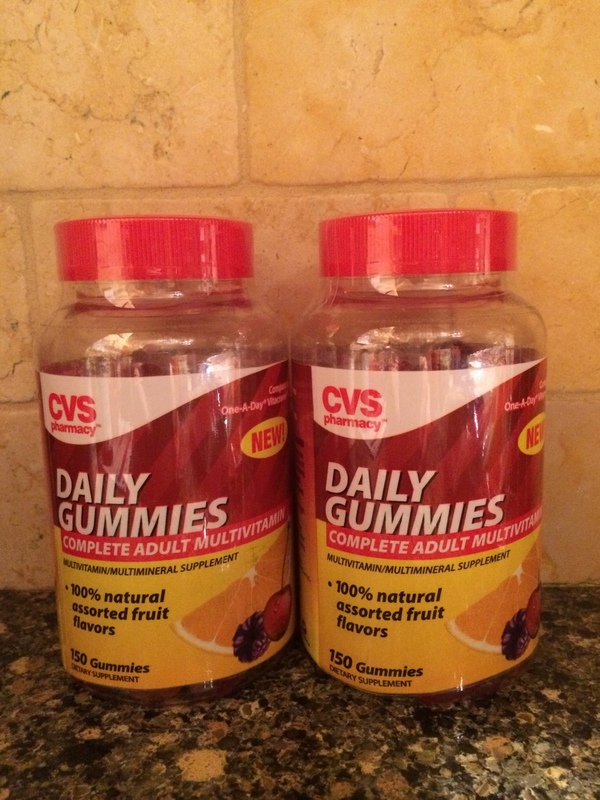 I just purchased the vitamins above on a buy one, get one free special. At roughly $24.00/bottle, it is worth waiting for a sale! ***If you are interested in learning what specific vitamin/mineral supplementation your body requires, then you should speak with your doctor or healthcare professional. Be AMAZING (With Minimal Effort)…Grow Your Own Herb Garden! You really can’t eat any more locally than home-grown. If you are looking for a way to improve the health of you and your family then gardening is a must. 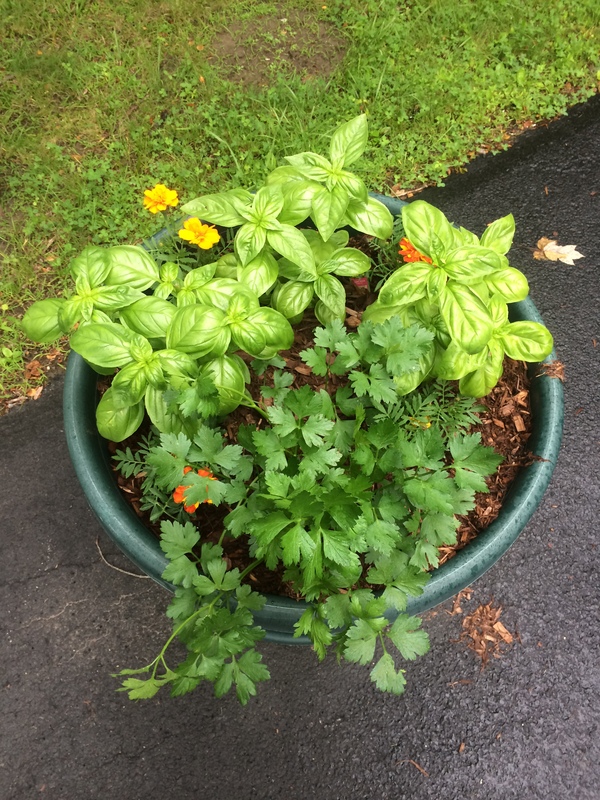 Even if you think that you have a “black thumb” there is nothing easier to grow than herbs! When considering growing any type of vegetable or herb garden, choosing a container garden is always a snap. “Container Gardens” are just that…gardens grown in containers (you can easily acquire these in any nursery); they are compact and low maintenance. You may also choose to tuck herbs away into flower gardens. Herbs can be purchased as small plants and deposited into soil specifically intended for growing vegetables. A Nutritious Meal: On the Go (…and On the Cheap)! I don’t know about anyone else, but I feel like I am always rushing around and eating on the go. I really do attempt to be mindful of what I eat and I pay close attention to my portion size. Unfortunately, I find that I just do not have the kind of time to do a lot of cooking. So, here is a quick idea (which I have been eating constantly lately) which you can do quickly and inexpensively. 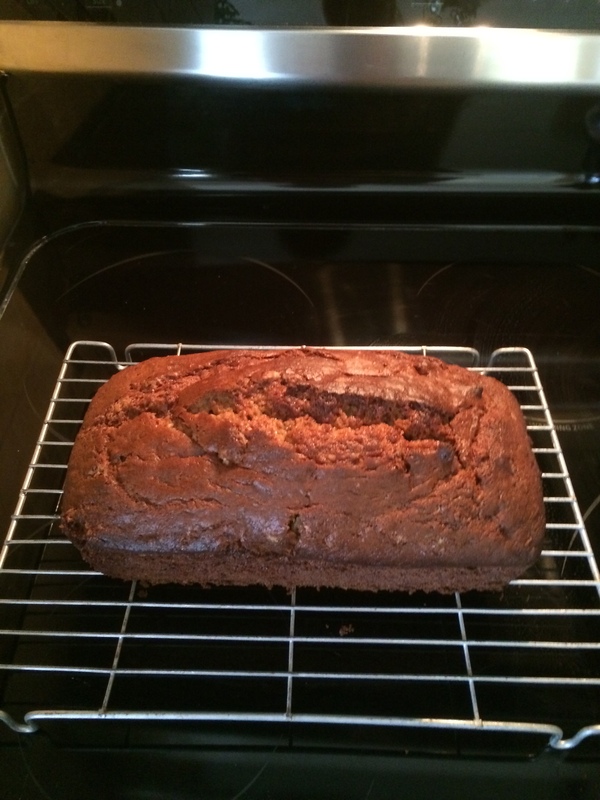 How To Make the BEST Banana Bread Ever! Most of us love baked goods. There are few things more inviting than walking into a home and smelling freshly baked goods right out of the oven. In the age of slice-and-bake, isn’t it a refreshing change to prepare your own baked goods from scratch once in a while? Not only are homemade baked goods delicious but they are also free of the chemicals and unrecognizable ingredients found in most commercially prepared baked goods. An added bonus is that baking can provide a great bonding experience with children and pets. 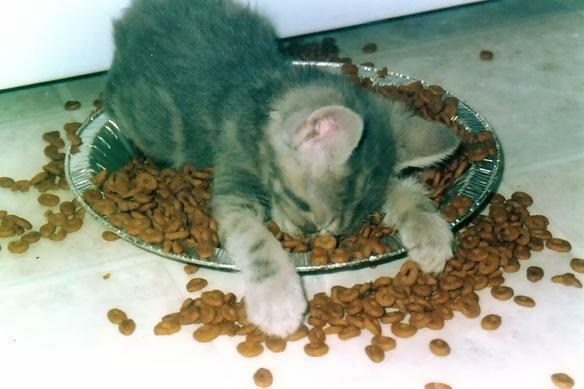 Plus, you get to eat the finished product (no chocolate for pets please)! What could be better?! Today I am going to share a recipe for Banana Bread which I have been making for years out of an old Cuisinart manual from the 1970’s. It is DELICIOUS! Enjoy! 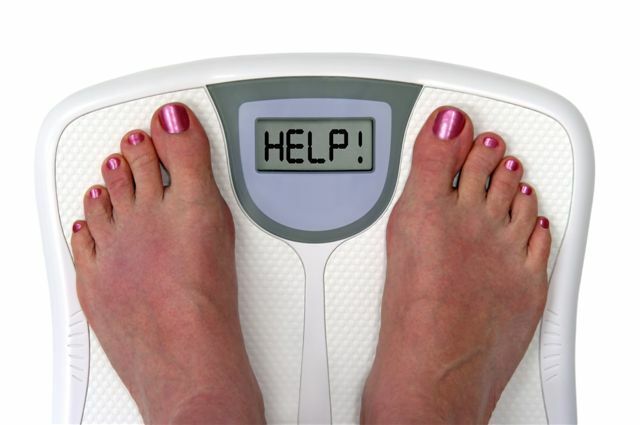 How To Recover From A Holiday Binge!